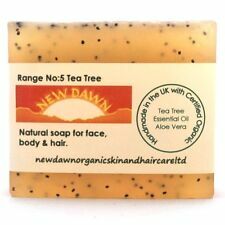 NATURAL BIRCH BARK SOAP TAR SOAP Anticeptic, Acne, Eczema 140g UK Stock! Salicylic Acid is a beta hydroxyl acid that exfoliates the skin. Use in the AM and PM. Do not rinse off. If persistent irritation occurs, discontinue use and consult a physician. (Sunburn Alert: This product contains a beta hydroxy acid (BHA) that may increase your skin's sensitivity to the sun and particularly the possibility of sunburn. ). T-Zone Rapid Action Spot Zapping Gel 8ml , low price & free postage . 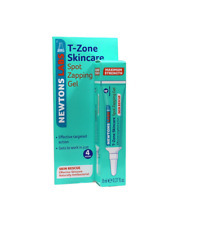 T-Zone Rapid Action Spot Zapping Gel rapidly targets, prevents and calms spots and blemishes. This cooling and quick drying gel combines naturally ant-bacterial Tea Tree and Witch Hazel with clearing Salicylic Acid to help promote great looking skin. 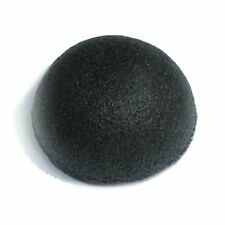 Made from 100% Pure Konjac dietary fibre impregnated with bamboo charcoal. Bamboo charcoal has an extraordinary absorptive capacity and is a natural antioxidant making this sponge the ideal choice for teen skin and oily skin susceptible to, acne, spots and blackheads. Minimizes the over drying that can occur with ordinary. With Chamomile, Ginger and Sea Whip. The Ordinary Niacinamide 10% Zinc 1% 30ml. Purify dull and congested skin with the Niacinamide 10% Zinc 1% High Strength Vitamin and Mineral Blemish Formula from The Ordinary. Harnessing the powers of advanced science and high concentrations of vitamins and minerals, the lightweight serum infuses skin with an intense dose of Niacinamide (Vitamin B3), which has been proven to minimise the look of blemishes and discolouration. Salicylic Acid 2% Solution. For Blemish-Prone Skin, Acne, Spots. THE ORDINARY. Using this product after a shower is ideal. Simply place the loop end over the top of the blackhead and gently press. If need be, use the pointed end to gently tease the black/white head out. Do not squeeze or pick at black/white heads as it may cause scarring on your skin. Scabies ,vitiligo. ECZEMA NATURAL CREAM WITH NEEM OIL VITAMIN A AND E SHEA AND COCOA BUTTER JOJOBA OIL AND EUCALYTPUS ESSENTIAL OIL– 100 ML. It improves general skin health and immunity, combating bacterial infections, as in acne boils and ulcers. This effective yet gentle formula contains Salicylic Acid, a proven acne-fighting ingredient. Neutrogena Body Clear Body Scrub. Check out other products in the Neutrogena Body Clear range Neutrogena Body Clear Body Wash Pink Grapefruit. With ALOE VERA, Salicylic Acid. Active Ingredient(s): Salicylic Acid 1%. ACNE FIGHTING. In a handy roller ball applicator you can get right on those pesky zits and zapp them in an instant! Tea Tree Oil, Witch Hazel & Camphor. Cleansing Care Acne out soap is designated for oily and acne prone skin with pimples, blackheads and enlarged pores. 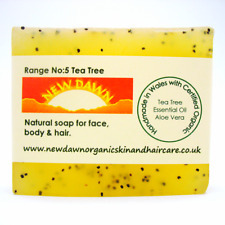 It is a 100 % natural vegetable soap, that maintains the skin's optimal pH. It removes the excessive sebum secretion and impurites, leaving the skin mattified, yet hydrated, wtihout causing irritation or dryness. Neem Leaf & Clove. & Neem Leaf Oil. with Salicylic Acid, Aloe Vera, Witch Hazel, Clove Oil. VEGAN FRIENDLY. witch hazel. BOTANICAL LAB. VEGAN FRIENDLY FORMULA. apply locally on the blemish after cleansing. White Konjac Sponge - Sensitive, tired & dehydrated skin. White Konjac Sponge is 100% pure konjac with no added clays. As konjac is 100% alkaline, it will help balance the pH of your skin while still gently exfoliating and cleansing. You can use the pure Konjac sponge with your daily cleanser. My deep clean facial mask gently removes impurities to help banish breakouts and leave skin looking clearer. Use once a week for the best deep clean. 1 Pre-Treated Facial Sheet Mask. Blemish Be Gone. New formula which replaces the Extra Strength 180 Tablets and 90 Caplets. 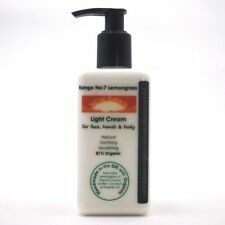 Supports skin healing and renewal. Supports healthy immune function. This way it is fair for all of us. Natural Ingredients for cleanser: Ground Almonds, Extra Virgin Olive Oil, Vegetable Glycerine, Kaolin Clay, Dried Marigold, Banana Extract, Sea Buckthorn Oil, Vitamin E Oil. Skin cells that threaten to block pores and create blackheads. Key active ingredients include Phytoderm complex G, skin soothing licorice and. Divya Tejus Beauty cream is used for natural safety and beautiful skin. Outer labels may change and be different to the image shown. The contents will not be affected. International Orders. Neither I Wish Kingdom, Nor I Wish Pleasure of Heaven. Ascorbic acid is characterized by strong antioxidant properties.By neutralizing free radicals, it protects the skin from premature ageing. It also accelerates the process of natural peeling of the epidermis, brightening the skin and reducing the tendency to discolour and freckles, has whitening whitening. Clay & Sulfur. with Sulfur, Salicylic Acid. dab straight on to blemish and leave to dry overnight. VEGAN FRIENDLY. VEGAN FRIENDLY FORMULA. BOTANICAL LAB. Drying Lotion. skincare tip. 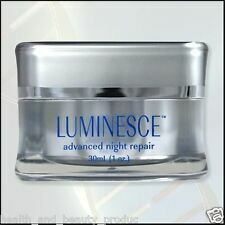 LUMINESCE™ advanced night repair. Wake up looking rested and refreshed. Formulated with vitamins and antioxidants, this nightly cream nourishes your skin. Wake up with skin feeling refreshed and reinvigorated. Searching for pore-fection?. Banish those breakouts with nature’s answer to acne. Because we are committed to the health and happiness of all furry friends, we never test our products, or the ingredients that go into them, on animals. 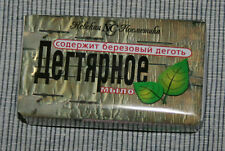 Without damaging delicate skin. The angled wire end glides over whiteheads to release debris from the pore. The opposite side's long, flat loop is designed to gently press out blackheads. Colour: Silver. Silicone Blackhead Acne Nose Pore Cleaner Brush. 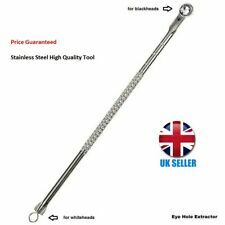 This blackhead remover perfect to help you rid of dead skin, blackheads and even make-up with daily use. Super small and soft pore massager to make sure it can reach those hard to get places. E.L.F. Acne Fighting Gel. Active ingredient 1%Salicylic Acid. What you see is what you get! Kasturi Turmeric Herbal Powder - 100g - LOT X 3 - Best Offer !! Apply the paste evenly on the face and neck, avoiding the area around the eyes and mouth. Leave it on for 10 minutes. Wash off with water. 100 gm X 3.